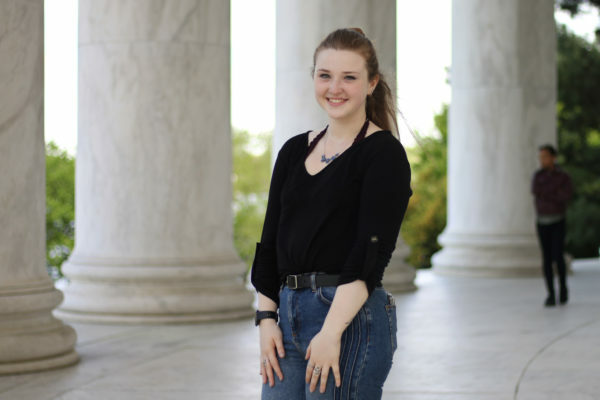 Cara Schiavone, a former summer fellow at GW’s chapter of the Roosevelt Institute, a progressive think tank, authored a report that revealed issues with the structure and cost of the University's student health insurance program. In a new report, a student researcher found that the University’s student health insurance plan is “harmful” to students who can’t afford its steep cost, which is significantly higher than similar plans at peer universities. In a 20-page report – released Monday – delving into GW’s optional student health insurance plan, Cara Schiavone, a former summer fellow at GW’s chapter of the Roosevelt Institute, a progressive think tank, found that because the plan costs much more than health coverage at similar universities across the country, reliable health care is “out of reach” for many students. “It is harmful for students who cannot afford the plan to go without health insurance coverage, and it is harmful for both students and the University to have a large population of uninsured students who are unable to seek preventative care,” the report states. The report calls on officials to rewrite the student health insurance system, including mandating that all full-time students be enrolled in some sort of health insurance plan and offering the student health insurance plan at a reduced rate to those without private insurance. “I think we are really selling students short and cutting off their ability to benefit the best they can in their college experience if they are lacking mental health support or just basic physical health support, simple medication or the ability to seek care when they get sick,” Schiavone said. 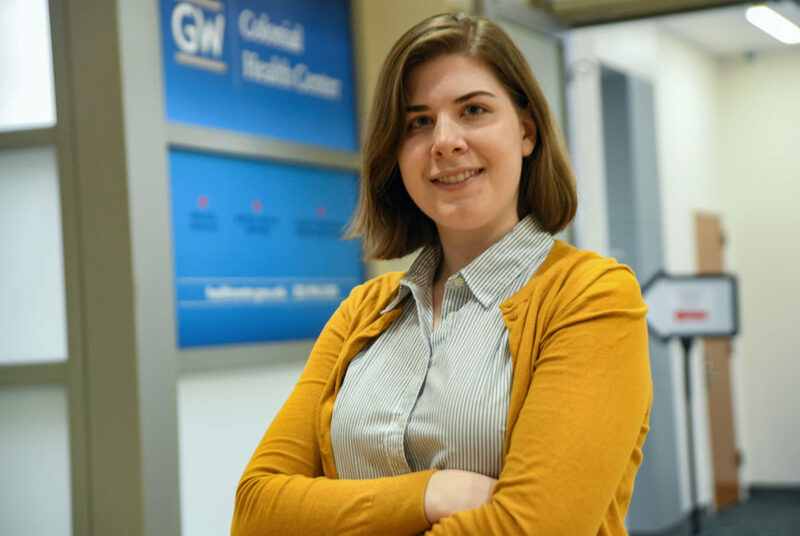 Researchers investigated the cost and structure of student health insurance plans at GW’s peer universities and found that GW is “the only school of its kind” not to require enrolled students to have health insurance. 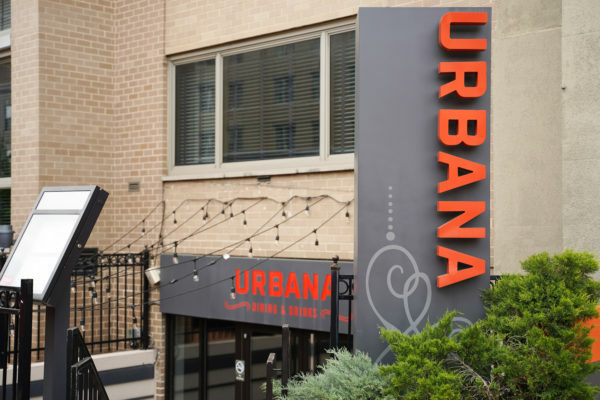 They said the “opt-in” structure drives up the plan’s cost because it means that fewer healthy students are enrolled in GW’s plan compared to systems at other universities. Under the current health insurance system, the Student Health Insurance Plan – offered through Aetna Student Health – all domestic students that opt-in to the University’s plan were charged $4,103 this year – a rate researchers call “exorbitant.” The cost of the plan has nearly doubled since 2012, according to the report. GW’s student health plan is more than $1,200 more annually than the next most expensive health plan at a peer university, according to the report. The average annual student health insurance cost at peer universities is about $2,350. All on-campus nursing, health science and international students are automatically enrolled and pay $2,651 unless they fill out an opt-out waiver, proving they are covered by an insurance plan that meets GW’s standards for coverage. Schiavone said officials have been receptive to the issues outlined in the report, especially under Glenn Egelman, the former director of the Colonial Health Center who resigned unexpectedly in September. Last semester, a group of students – including Schiavone – worked with administrators to form the Student Health Advisory Council, allowing students to voice concerns about a number of student health topics including the high cost of the health insurance plan. “It’s just a matter of now pushing and making sure if this change is made, basically when this change is made, it’s affordable for students,” she said. Schiavone said that if the University takes steps to rewrite the health insurance plan, officials would most likely roll out a change beginning with an incoming freshman class. The report calls for a “mandatory hard waiver system,” a structure in place at nearly all of GW’s peers that requires students to sign up for the student health plan, but allows for waivers if a student has adequate private health insurance. Researchers also recommend that the University subsidize premiums for lower-income students based on information from financial aid documents, a policy researchers wrote must accompany the insurance mandate to avoid hurting low-income students. “This would be a change that wouldn’t impact current students, but if students are interested in buying the plan while they are still students it would bring the cost down for them,” she said. “The report speaks to issues the University has been working to address and underscores concerns that were shared during the student experience listening sessions and by the Student Association leadership,” Hamilton said in an email. She said officials would announce “an initial set of changes” to student health insurance and the CHC in the coming weeks, which will be geared toward increasing student access to healthcare. 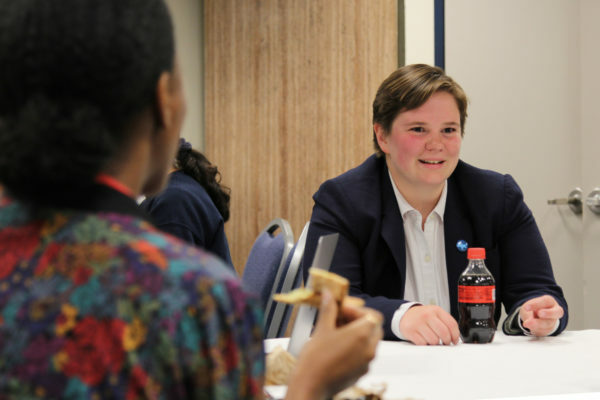 Schiavone collaborated with students from Care for GW, an initiative working to renegotiate GW’s health insurance policy, and SA President Peak Sen Chua for more than a year to push the University to improve the current student health insurance plan. Chua said a student health insurance plan provided through GW offers protection for students in case of emergencies and allows for students to have more access to providers in D.C.
“We are confident that administrators are listening to student voices on this matter and are working with us to ensure that students are able to access affordable health insurance,” he said. Noah Wexler, a student organizer for Care for GW who worked with Schiavone to gather research and lobby the University to make changes, said if GW were to move to a mandatory hard waiver enrollment mechanism, the costs of student health insurance would decrease because more students would be required to enroll. Wexler said that there are so few opt-in students on the plan that are not international students, which is why the premium is so high. He said GW is “doing exactly the opposite of normal and standard” in regard to student health insurance.